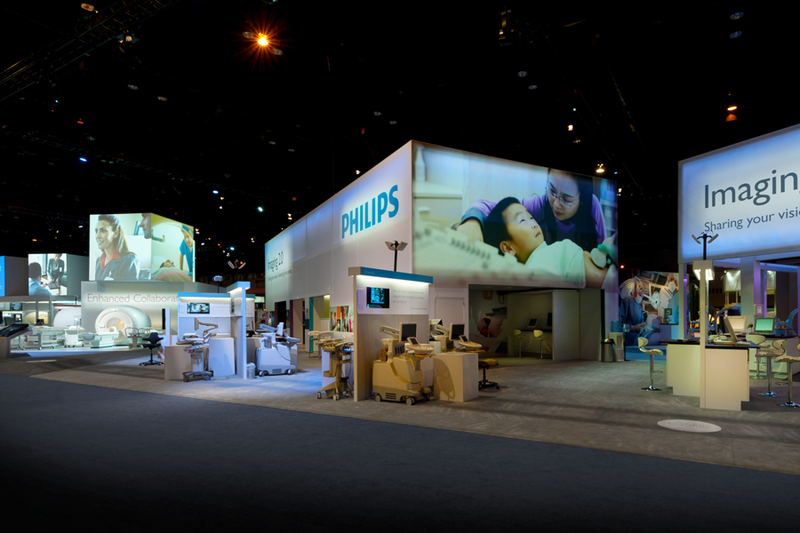 Over two city blocks in size, the Philips Radiological Society of North America booth acts as Philips radiology product showcase. Egg is involved in the earliest stages of planning and is responsible for designing all of the graphics in the booth, from the twenty-foot high wall graphics to the letter-sized booth map handed out at the help desk. 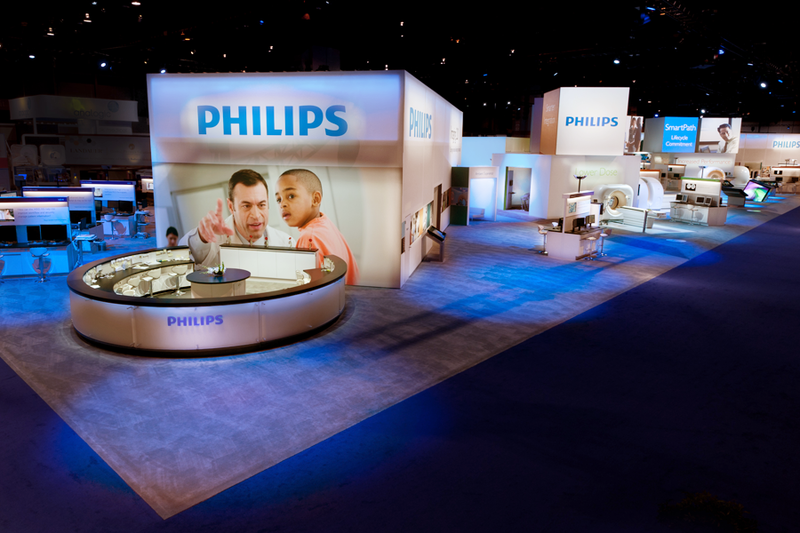 Egg has been working with the Philips Healthcare Events Team since 2008. 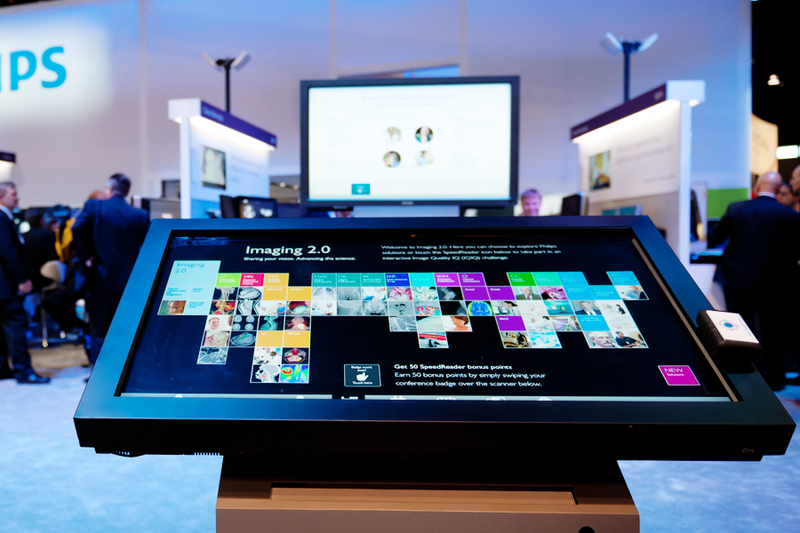 In that time, we have developed a comprehensive trade show brand guide, assisted in the messaging and design for over 20 North American tradeshows, and developed templates and processes to help streamline the development of future shows.